Gear up for the Children, Baby Maternity Expo 2018! UBM India is set to host the 6th edition of the uniquely positioned Children, Baby and Maternity Expo India 2018 (CBME India) from 26th –28th April, 2018 at Hall 3, The Bombay Convention and Exhibition Centre, Mumbai. 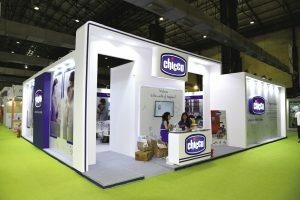 The largest children and maternity product business expo in India, the CBME India will offer unrivalled business opportunity for local and global manufacturers and sellers of baby products to connect, network and conduct business with a choice of distributors, importers, dealers, influencers and merchandise heads from modern retail businesses, online retailers, aggregators, service providers, business investors, and franchisee seekers. These professionals cater to baby, child wear, children shoe stores, maternity wear shops; toy shops, supermarkets, hypermarkets, department stores, pre-schools, nursing homes, individual buyers, service companies, designers, associations, and consulates. The three-day exhibition will bring together Indian and global suppliers, manufacturers of child, baby and maternity products, and services, all under one umbrella. The expo is poised to feature over 150 national and international exhibitors from 12 exhibiting countries and regions. 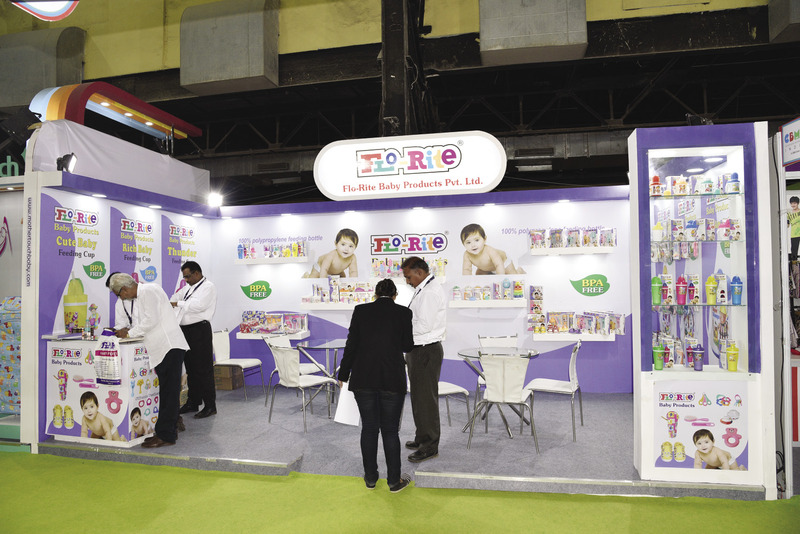 These industry players will present 450+ brands to showcase and launch an exhaustive spectrum of baby care products, toys, baby food, organic clothing, nutraceuticals, ergonomic furniture, licensing brands, stationery, gifts, infant safety technology, brain development tools among a rich array of other quality, technologically advanced and aesthetically pleasing international products. This year, the trade fair will see enthusiastic participation from countries such as China, Canada, Korea, Singapore, Russia, Saudi Arabia; UK, USA, Vietnam, and Thailand. 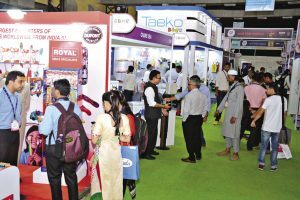 Most significantly, the event is well-supported by key associations such as Licensing Industry Merchandisers Association (LIMA), Indian Importers Chamber of Commerce and Industry (IICCI) and All India Association (AIAI). Some of the key exhibitors will include The Himalaya Drug Company, Nobel Hygiene Pvt. Ltd, Artsana India Pvt. Ltd, R for Rabbit Baby Products Pvt. Ltd., Azafran Innovacion Ltd., Mandot Impex, Royal Industries (Thailand) Public Company Limited, First Care India Pvt. Ltd., Nectar Biopharma Pvt. Ltd., M/s. A Star Marketing Pvt Ltd., Dream Theater, Resper International (India) Pvt. Ltd, Sunheri Marketing Pvt Ltd, Galaxy Incorporation, Superbrandz Medical Innovations Pvt Ltd., Softsens Consumer Products Pvt. Ltd. and Me N Moms Pvt. Ltd. 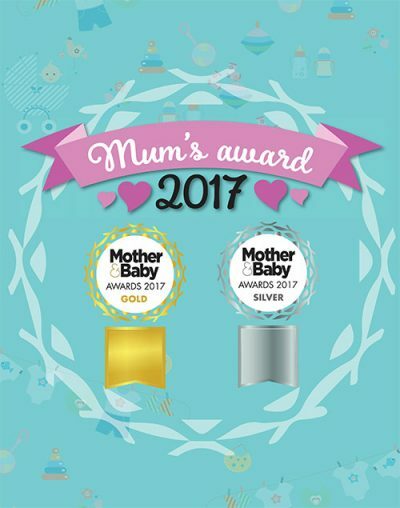 This year, our Mum’s Award 2017 brings you a tried and tested list of quality baby products for your bundle of joy, as well as various innovations in the field of pregnancy. As you all know, we make it our mission to give you every bit of information and expert advice to help you during your pregnancy and on your journey to motherhood. From addressing various queries to helping you transition from labour to birth, we’re with you every step of the way. Once again, we decided to take things to the next level and bring you a rather well-examined list of baby products, with the help and expertise of renowned specialists and entrepreneurs, but more importantly, mothers themselves. After all, we believe that we have earned enough respect and credibility to be able to identify pioneers in the world of maternity and baby care. We pride ourselves in presenting you with a complete and unbiased picture, which is why, acknowledging the research, innovation, functionality and care big-name brands put into giving you high-quality products, only means we want to hold our verdict to those same exacting standards. This is precisely why every member of the jury was selected for their exclusive, credible and significant contribution to the world of mothers and babies and, we were honored to garner their expertise in identifying the best in the industry. However, we did ensure that the voting and subsequent verdict was completely transparent and unbiased. Needless to say, our panelists Sonali Shivlani, an internationally certified childbirth, lactation and pregnancy fitness educator, Neha Chopra, a filmmaker, lifestyle blogger and media manager for Birth India, Naiyya Saggi, CEO and co-founder of BabyChakra, Dr Yatri Thacker, a homeopathic physician, international childbirth educator and child counsellor, were only too happy to voice their opinions, concerns and more importantly, share their experiences of motherhood, and using various baby products. The jury meet took place in the Mumbai Head Office of Mother and Baby. The panelists were seated at 10am in the conference room. The meeting started with an informal interaction between the panelists. M&B Executive Editor Charlene Flanagan, and Sania Dhirwani, Features Writer, were also part of the jury. Post the interaction, the panelists were handed the dossier with the details of the categories, subcateories (baby toy, toddler toy, baby care utilities, diapers, innovation and online retailer) and nominees, along with a tabulation sheet. Attached to the dossier, was a tabulation sheet, where the panelists had to mark the nominations based on various criterias. The reviewing process thus began. Each product was thoroughly analysed, tested and scrutinised across various parameters—utility or benefit, growth and development, safety and value for money. Although, the discussion was an open forum, the rating was a confidential process with no names of jury members mentioned on the sheet; neither were the scores discussed. The process was simple: the judges were given each product and were asked to test them individually and collectively, make a comparison between the products and note down their respective scores. A lot of deliberation, open discussions and questions, followed by the tallying of individual scores, gave us our list of winners. While the process took a lot of patience—the jury were reliving their early parenting days, recalling their experiences and taking newer information from mothers today—we have undoubtedly managed to keep our judging fair and honest. The fact remains, the M&B team were thrilled to watch the experts at work. Moreover, we’re now equipped with facts that will help us help you make wiser choices when it comes to you and your baby. 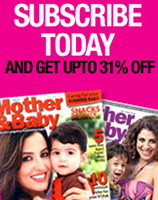 Founder of www.baby360degrees.com, Sonali offers pregnancy and parenting solutions. She is an Internationally Certified Child Birth, Lactation and pregnancy fitness educator. Having completed her certification from CAPPA-USA, Sonali began practicing as a childbirth trainer. Throughout her career, she has offered comprehensive pregnancy programmes, exercise classes and workshops. One of M&B’s expert panelists, she has also authored two books, namely, Super Moms Recipe Book and Prenatal Fitness360. As Executive Editor of Mother & Baby and Parent & Child, Charlene has garnered a great deal of expertise, knowledge and experience in content curation, management and planning when working with a publication. Her eight plus years in the field of Journalism has taught her to always expect the unexpected, and after recently becoming an aunt, she has managed to put into practice all the lessons she has learnt at M&B. A homeopatheic physician, international childbirth educator and child counsellor, Dr Thacker has been practising for the last 14 years. With presence in publications like The Bombay Times, The Times Of India, Femina and Mother & Baby, she has written several articles on how stress affects children. Apart from treating women during pregnancy, she also conducts parenting workshops ,and has helped in curing physical and psychological ailments in children from infancy to teenage. Neha is a storyteller who believes that people around the world have an innate desire to dream, share and express. She is passionate about birth photography and filmmaking. She likes to have conversations, create stories and blog her experiences. She is a Psychology graduate with Masters in Indian Culture and alumna of Film and Television Institute of India (FTII), Pune. After becoming a mother, Neha’s interest in sustainable and alternative lifestyle deepened. She loves exploring earthy adventures and dreams of living in green spaces while mixing minimalism with a bit of her bohemian spirit. At Birth India, she is working towards generating audio-visual content to further Birth India’s vision of promoting evidence-based benefits and best practices for childbirth in India by advocating for women’s reproductive rights and spreading awareness on mother-baby friendly care. Bringing with her an experience of five years in conceptualising, strategising and mentoring key projects in the field of health and education, Naiyya Saggi currently works as a CEO and co-founder at one of the fastest growing social discovery sites, BabyChakra.com, for parents with kids under six years. 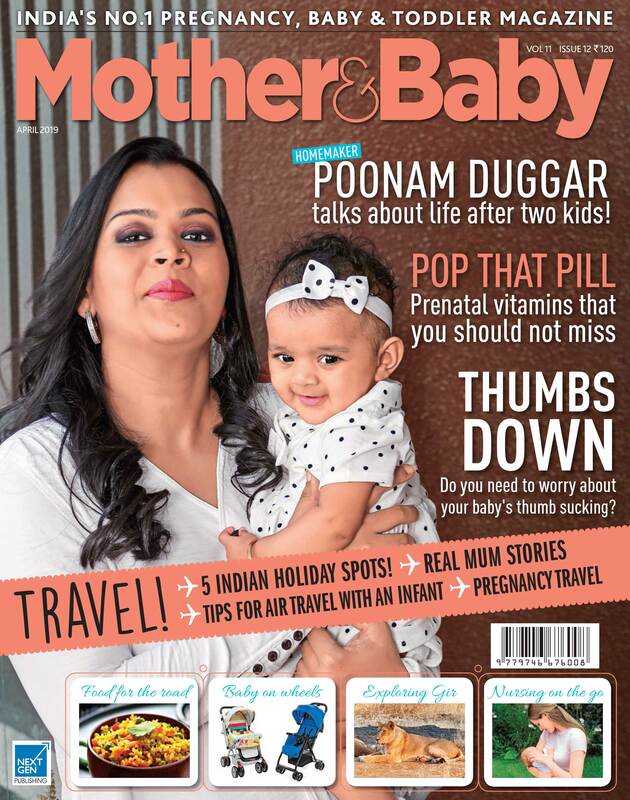 As Features Writer for Mother & Baby, India and Parent & Child, Sania has gained abundant domain knowledge in the last two years she has spent with the publication. From production to postproduction, she has a holistic approach when working with a magazine. She pursued Journalism as her degree in both graduation and post-graduation. Magnasoft, the brainchild of entrepreneurs Bobbie Kalra and Shyam Ramamurthy recently announced the launch of the third generation to their product Northstar, a comprehensive child safety platform in Mumbai. It is an integrated product that protects children while they commute to and from school. A web application and dashboard designed specifically for schools empowers the school authorities to efficiently manage their transport related information, monitor their fleet and children in real time, and take immediate action in case of any incidents. 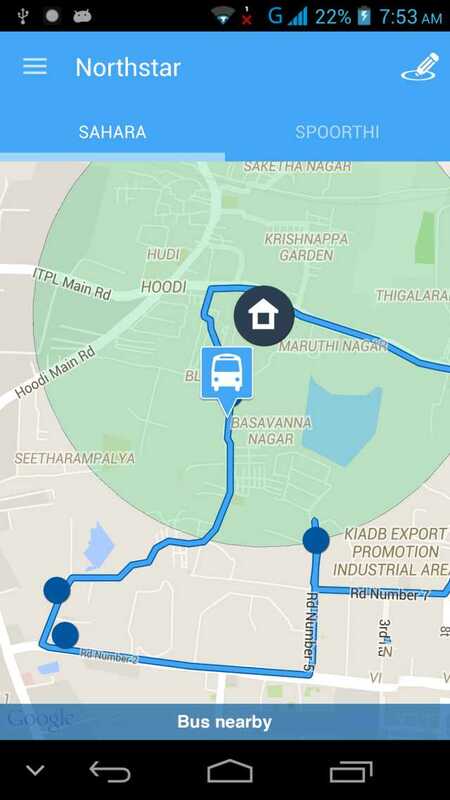 It is a programme which integrates GPS and non-GPS locationing, video surveillance, and RFID technologies to facilitate equipped transport management system in schools. The technology provides features like school bus and child monitoring, school bus video surveillance and student attendance management. 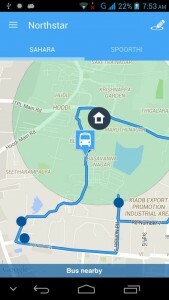 It is said to be the only platform that offers training and driver merit in order to incentivise good driving. 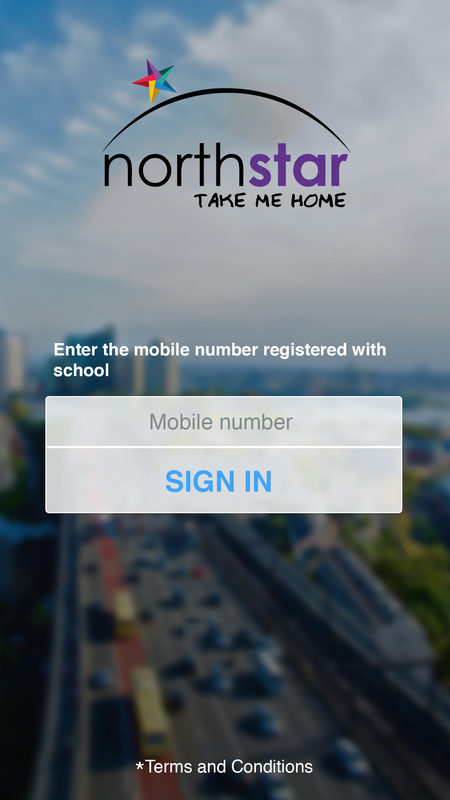 Northstar provides a clean and simple mobile experience for parents on iOS and android. With the Northstar parent app, parents can track their child’s journey in real time. The invention apparently has already been a choice for over 200 schools across India. 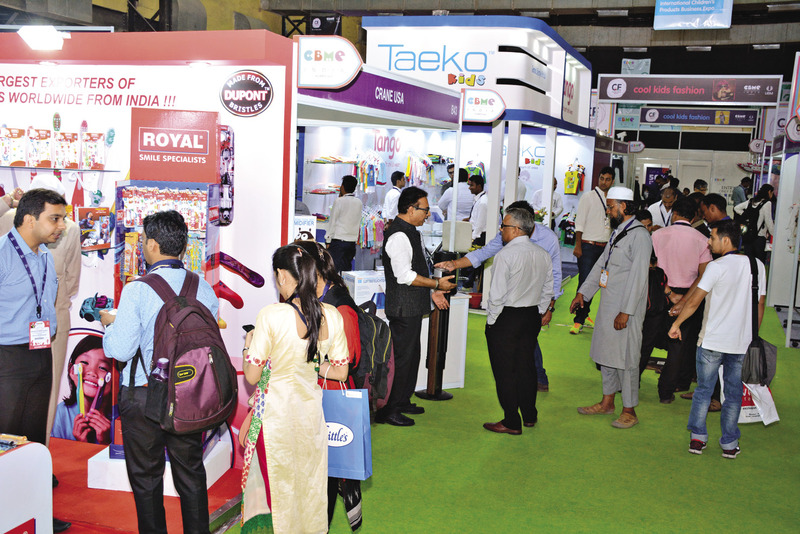 CBME India 2015 is India’s Largest International B2B Children Products Expo organized by UBM India, and is scheduled from 9th to 11th April, 2015 at Hall No. 5, Bombay Exhibition & Convention Centre. CBME India provides the ultimate platform for international manufacturers of Baby Products to meet buyers, across children product categories, from India. The show also enjoys support from a host of leading trade associations, government organizations and media. Is there an Awards function? Is there a Fashion Show? Other unique features of the event that can be leveraged PR wise?